In this article, we explain the current legal situation for drone flights in Vietnam. 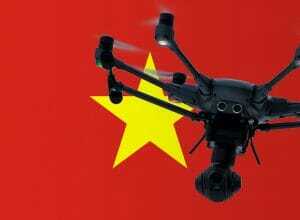 In Vietnam, the Ministry of Defense is responsible for the regulation of drone maneuvers. Under the current legal situation, you need to apply for permission from the Ministry of Defense if you want to fly with a drone. However, it does not appear that these rules are consistently implemented. Several readers of our blog have already tried to get permission from the Ministry of Defense. At the moment, nobody has managed to contact a responsible contact person. I have tried several times to get in touch – both at the Ministry of Defense as well as at the aviation authority and the Ministry of Tourism. Meanwhile, many pilots try their luck without permission. Most pilots are doing well, but there seems to be a lot of incidents at Danang airport. If you arrive here, you must expect the drone to be seized and kept until your departure. The baggage is always scanned when leaving the airport, so you should leave your copter at home when you enter Vietnam at this airport. From other airports, I did not hear such reports so far. We will see how the situation is developing in the rest of the country. We have researched the listed drone regulations for Vietnam to the best of our knowledge. We can not guarantee the correctness of the information. If you want to be on the safe side, please contact the competent aviation authority. Alternatively, you can also ask the embassy in your country for further information about the regulations. Please leave us a comment when you receive news and/or gain experience with your copter in Vietnam! I just arrived in Vietnam after 2 hours arguing with customs, (don’t bother to do this) they said you must leave the drone with them and collect it on departure. However the room it is stored in didn’t look secure, you get not receipt and in the end said they will fine us $500usd to get it back. After a little while we agreed to leave the drone with them, not take a receipt and took two names and contact numbers there instead and they said no fine but small ‘storage’ fee must be paid on return. I brought my phantom 4 to vietnam and it was confiscated and held. Was told I can get it back when I leave the country. Oh no! At which airport did you arrive? Can you write us when you left Vietnam? Thank you very much in advance! We wish you good luck! I have a Mavic Pro and will be traveling to Vietnam next weekend. I have looked at some websites and it says that drones are allowed in Vietnam but you need a permit. Any idea where I can find this form for a permit for non commercial use? Im going to be back packing through Vietnam, My concern is weather it will be confiscated at the border coming from Cambodia? any insight? Hi Tim, any idea if the same scenario will happen in airport at Nah Thrang? Hello, Tim! how much did you pay for keeping the drone at the airport? I had flown into HCMC airport with no issues with my Mavic Pro in August 2017. However upon my return from my visa run and flying into Nha Trang last week, my Mavic Pro was confiscated by customs. I have tried contacting the office that UAV Systems International has listed on their website… but emails and phone calls go unanswered. If anyone has any information on the licensing requirements or the contacts for it… please PM me and post it in this thread. We will fly to Hanoi, and and next day to Da Nang. wil lthey check domestic flights as well or international only? How and where can you apply for permits and what does it cost. Anyone who can do it for you for a fee? I just discovered this permit form while intensely researching. I haven’t submitted it yet, but I hope some people will find it helpful. Ahh excellent, I didn’t find the form before. Do you know how I can submit the form to the government? You can engage a 3rd party to help for the application. I came across this but have not done it yet. For anyone going, I would say if you can get past the airport security. You should have no issues flying just be smart about it. Saw only one other person with a drone and he was carrying it lol. I forgot to ask him if he had any issues, I wish I brought mine to Vietnam but it was in repair. I’m travelling to Vietnam often. Customs will always x-ray scan all your luggage upon international arrival. Sometimes you can be lucky and they don’t, but expect them to. Nha Trang/Cam Ranh and Da Nang airports are understandably more strict about drones, as they are major tourist destinations and the spots nearby are either airport NFZs (Nha Trang) or UNESCO World heritage sites (Hoi An/My Son), where filming and flying are strictly regulated. Use of an info app such as Airmap is highly recommended as other infrastructure (ie fuel storage facilities) can also be a designated NFZ here. To my knowledge, even none of the local flyers I know have the required permit and the general rule is don’t get caught, as anything relating to airspace (model/drone flight, air sports such as paragliding) is primarily military authority. However, I know from a friend who is a paraglider and well connected in Vietnam, that it’s almost impossible to obtain any form of permit as neither the military nor ministry of sports/tourism declared themselves responsible. He ended up just flying and then, if someone declared himself responsible by saying “you can’t do this here”, go from there. Also, just upon checking the relevant Decree (36/2008/CP-ND; http://duytho.com/resources/legal-documents/governmental-decrees/2308-vbpl-sp-19294.html), and the follow-up Decree (79/2011/ND-CP) it goes to show that EACH FLIGHT is to be licensed, and that applications need to be submitted a minimum of 1 week prior to the planned flight or 5 days prior for changes of plan. There is no general flight permit. This effectively means obtaining licenses for recreational, tourist & ad hoc hobby flying is impossible. The first decree lists the competent authority including address and phone and fax numbers. Whether these are still valid after 10 years may be uncertain. Going into Vietnam in August and need to know how to protect my drone from being confiscated on arival, I fly with a Mavic Air. There is no safe way to protect your Mavic Air from confiscation. If you want to be sure, leave your quadrocopter at home. I have just travelled through Da Nang airport and had my mavic pro confiscated. Fortunately, nobody there spoke enough English to argue with me when I refused to have it kept in an unlocked room and I insisted on keeping it. After 10 minutes they agreed to let me keep it but have cable tied it shut with some strange rubber band, which they said they will remove when I fly out. The customs required all hand luggage or ‘hand bags’ as they called it to go through a scanner, yet they didn’t require any baggage that had been checked to go through. If you could transfer your drone from your hand luggage to your checked bag in between getting it of the carrousel and going through you might get away with it but it would be at your own risk. Good luck and avoid this airport if you can. Thanks for your report. Please leave us a comment when you are back from Vietnam. Would be interesting what they do when leaving the country. Thank you for your comment! Im flying into Da Nang from Singapore, and being my fourth travel in Vietnam, i really want to maximize my photagraphy! I guess ill sneak my DJi Spark into my checked luggage, batteries and controller in my carryaboard. Has anybody tried going into Vietnam by land? I.e. through China? Yes, we entered at Huu Nghi landport with our Mavic Pro. No issues. But they did not xray our luggage at all (we arrived with fully loaded touring bikes, so msybe the amount of stuff helped). We were flying twice, at Cai Rong and Quan Lan. When we left via Hanoi (Noi Bai) airport, nobody cared either. Flew in to Da Nang from Saigon with Mavic Air (mavic bag inside my backpack) – no issues. Flew back to Saigon – no issues. Tok some shots over Ba Na Hills and asked for permission after, they said no offcourse. Having spoke through a Vietnamese friend to someone from the ministry of air defense in Hanoi. The regulations lack any fluidity. Each permit is permitted on a person to person basis. But each flight must be logged, the location, the duration and the route before any permits will be given. This process can take up to 3 weeks if you can find the relevant people to talk too. I was excited about taking my mavic to Vietnam as i`ve been there many times and its a beautiful country but the cost in time and effort not including palming money to officials and the bureaucratic hoops you have to jump through make it near impossible. This I would like to know to, we will be crossing the border from Laos into Vietnam by land. I purchased my DJI phantom 3 here in Hanoi back in 2015, travelled with it numerous times between Hanoi and HCMC, Nha Trang by air and by road to Lao Cai and Sa Pa, never had any issues. No paperwork either. Travelled to Vietnam sept 2018 from Dubai to Ho Chi Minh. When I arrived there was yellow tape on my case and it was rescanned. But no problems there. The following day i travelled to Danang and no problems there too. During a flight at Cau Dai beach a policeman approached me but was just interested. I think it seems to just be an game of chance as to confiscation and maybe i got lucky. Last year saw Trumps visit which saw raised security and Da nang still seems to be thorough in checking. We just have to hope the idiot flyers dont spoil it for the responsible flyers when drones do get through, but thats another subject all together. Cool, thanks for writing us your travel experiences! I have just sent the permit from JP K to my partner in Da Nang, I’ll see what she can find out. Mn to do at the police station and it is free. My district was Kalasin northeast Thailand. I contacted the Vietnam Embassy in Norway and asked about bringing a drone to Vietnam this summer. I got the proper form and this information. d/ Other papers and documents related the aircraft or flying vehicle. 2. At least 14 days before the planned date of organization of their flights, organizations and individuals shall submit applications for flight licenses to the Operations Bureau of the General Command Post. 3. At least 10 days before the planned date of organization of their flights, organizations and individuals shall submit applications for modification of flight licenses to the Operations Bureau of the General Command Post. 4. The Ministry of Defense shall specify the organization of receipt and handling of applications for flight licenses or modification of light licenses of organizations and individuals, ensuring convenience and promptness. Its fax number: 04 7337994.